Explore 97 Orchard Street, a tenement built in 1863 on Manhattan’s Lower East Side. This New York City Museum tells the stories of the immigrants who lived here. 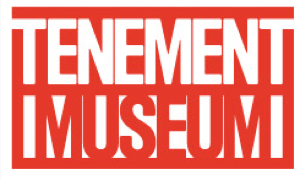 The Tenement Museum’s website gives excellent historical context for tenement living, click “Play” in the site’s menu to reveal a virtual tour, an immigration game showing the path from Ellis Island to 97 Orchard Street, work with folk songs, multi-cultural heritage, webcomics and more. Under “Education,” find lesson ideas, primary sources, and more. The Tenement Museum provides a glimpse into the lives of those who journeyed to the United States and whose reality was so different than those of our students of today.